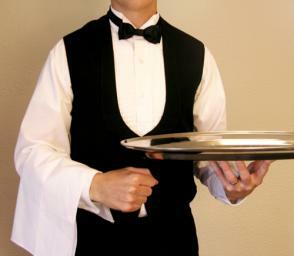 Home>Best Hospitality Degrees FAQ>Is Hospitality Management Still A Marketable Career For Graduates? Students considering a hospitality management career might find themselves wondering if hospitality management is still a career that is marketable today. It is a very marketable career choice. While the employment outlook increase number is somewhat lower, around eight percent compared to higher numbers in other fields, there is still growth and a real need for experts in hospitality management. Travel is becoming a more popular pastime than ever before. Travel for leisure and business is expected to increase in the future. This will create a real need for people with good working knowledge of the hospitality industry and all the latest practices. There will also be a need for people with great hospitality management skills. Making sure a hospitality business is well run with a primary focus on customer service and satisfaction, while also keeping an eye on the profitability of the business, takes skill and resourcefulness. People with a college degree in hospitality management will be in demand and get better jobs in the future than those without degrees. Management of Lodging Facilities – This includes resorts, hotels, motels and other places travelers stay while on the road. Managers are in charge of all operations, including sales, budgeting and employee and customer relations and marketing. Restaurant and Beverage Management – Overseeing restaurants and beverage services to make sure quality is maintained. Also includes ordering supplies and food needed, taking care of budgets and marketing, along with employee and customer relations. Spa Management – Managing all aspects of a spa from expenses to supplies and customer and employee relations. Human Resources – Often employed in large resorts, hotels and casinos. Human resource specialists are responsible for all aspects of hiring, firing, employee relations, benefit programs, paychecks and resolving conflicts that arise. Managers of Casinos – This is a job that is not available everywhere, but in places where there are casinos, it is a lucrative profession. Managers see that every area of the casino is run properly. They focus on the usual areas of employee and customer relations, budgeting and marketing, along with security, since large sums of money are often exchanged. In 2013, over 15 million people were employed in the hospitality industry in the United States. Over 950 million people travel worldwide for pleasure and business. The number of travelers in the U.S. alone is over 250 million. There are over 48,000 hotels in the United States that are owned by over 40,000 companies. Projected growth in the travel industry will create a larger demand for graduates of hospitality management degree programs. In addition, those who hold a degree will see higher income and more opportunities for advancement within hospitality management career fields.